How do I connect an RPM input to my DL1/DL2? 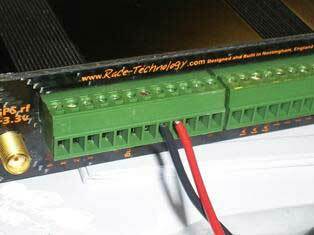 To connect an RPM input to your DL1, you will need to wire it to the correct channels on the connector block at the back of the unit. 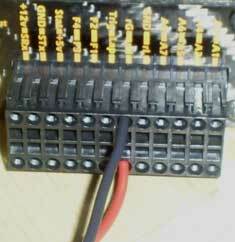 For a DL1 MK1, you will need to fit the red wire to "Spark In" and the black wire to "Spark Gnd"
On the MK2 units, the red wire should go to "rH" and the black wire to "rG". For a DL2 unit, you will need to solder the wires onto Binder Connector 1. As shown in the table below, the red wire should be soldered to pin E (High RPM I/P) and the black wire should be soldered to pin D (RPM Gnd).